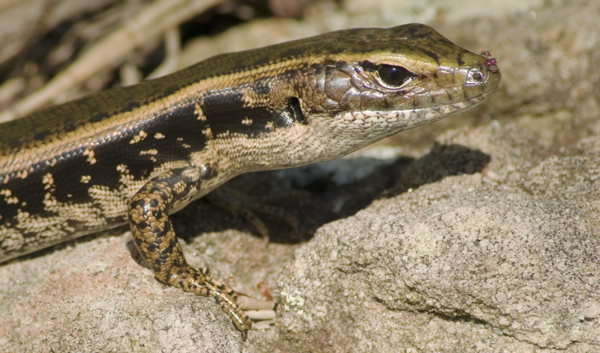 This small ground-dwelling lizard is active by day and lives along the edges of creeks, lakes and swamps. I spotted this one sitting on a sandstone rock enjoying the sunshine. It wasn't until I zoomed in with my 300mm lens that I noticed the tiny parasites on the tip of its nose - they were full of blood!